Our "big reveal" was a little late this year as we were trying to get 3 cars ready instead of just 2. 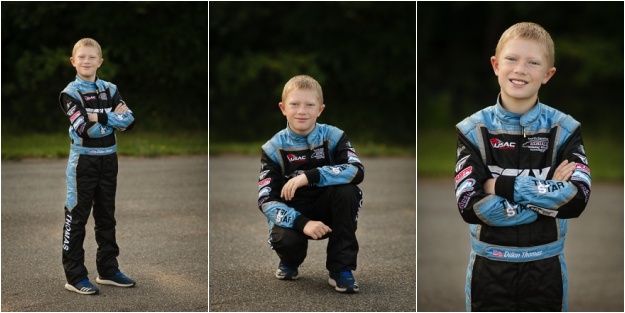 This year, Dillon will be racing in the Jr Honda, Jr Animal and Lt 160 classes. The blue car is our Jr Honda, red is our Jr Animal and orange is our Lt 160. It's going to be an exciting, and BUSY, year! Once again, War Ink Graphics did a fantastic job on our stickers for the cars. Since we were doing an extra car, we decided to go with a simpler design that was easier and quicker to apply instead of the full car wraps that we have done in the past. War Ink worked with us to make our description of what we wanted an even better reality than what we had been picturing! The cars look great and really stand out on the track. 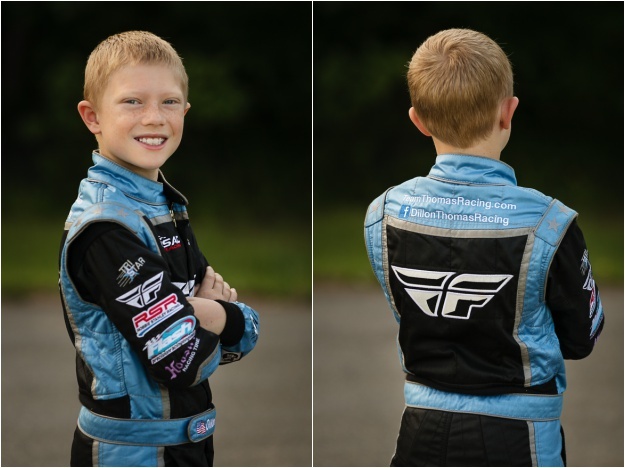 This year we worked with Tri Star Racewear to get a new custom driving suit as Dillon shot up in height and outgrew his old one. They were wonderful to work with, making a truly custom suit that is exactly what we wanted and fits like a glove. Their suits are made in the USA, right here in the Carolinas! Our cars are Stanley Bulldogs from Robbie Stanley Racing. We have loved working with Ron and Rita over the years. The best feeling after a race is seeing Rita heading your way to get a picture, since that means you got the win! As in all our years of racing before, we are once again powered by Flash Products engines. Chris and Kelly are wonderful to work with, support us whenever needed, and have become friends in addition to vendors. We are happy to be part of the "Flash Empire!"